A life-size monument honoring this World War II hero, Colonel C.E. “Bud” Anderson, a triple ace who served in Europe. 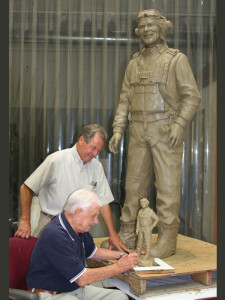 He is depicted in his flight uniform. His famous P-51 Mustang was named Old Crow. 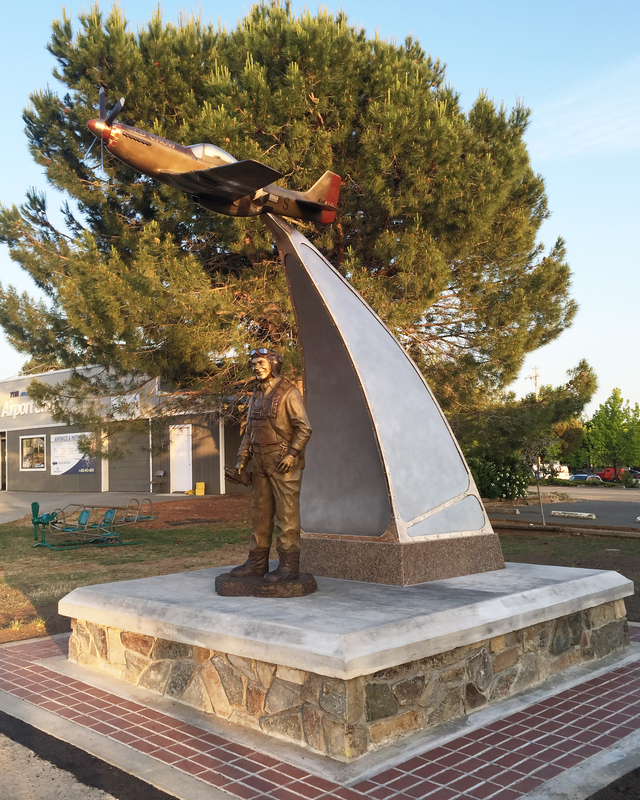 Bud turned 95 in 2017, and is honored at the Auburn Municipal Airport in Northern California, also known as Anderson Field. On Veterans Day, in a special ceremony, he had a street named after him.